More hits than misses this month. At over 1.7 million cases per year, Columbia Crest is by far Washington’s largest producer. That said, the winery, which is located in Paterson, consistently produces high quality wines that are exceptionally well priced. Ray Einberger has served as winemaker since 2002. This month we sampled wines from two of Columbia Crest’s four tiers. The first Columbia Crest wine is the recently released 2007 H3 Cabernet. This wine was November’s Virtual Tasting wine. 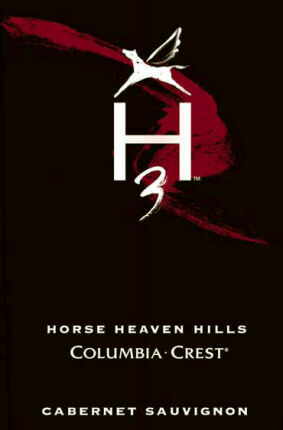 The H3 label is Columbia Crest’s middle-tier. This label, which Columbia Crest took nation-wide last year, is named after the Horse Heaven Hills AVA. The 2007 Cabernet is an excellent value Cabernet. The second wine is the 2007 Two Vines Red Wine Vineyard 10. Two Vines is Columbia Crest’s entry-level tier. Vineyard 10, which is located by the Columbia River, is one of Columbia Crest’s original estate vineyards. This wine – a big time value wine – is an interesting blend of Syrah, Cabernet Franc, Sangiovese, Grenache, and Mourvedre. I was honestly expecting a Cabernet-Merlot blend when I bought this wine, so I was taken completely off-guard on first sip. That said, the wine completely won me over. This may be the under $10 wine of the year. Note that folks looking for a wine with oak and alcohol should look elsewhere. After spending a good deal of time contemplating how Columbia Crest consistently produces such excellent values, I have come to the only logical conclusion that Einberger has sold his soul to the devil. Fear for your immortal soul while you enjoy two these wines. Dusted Valley is located in Walla Walla, although the winery recently opened a tasting room in Woodinville. 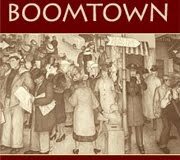 Boomtown is Dusted Valley Vintners’ entry-level wine. This is the second wine I have tasted from this label with the Cabernet also providing excellent value. Corvidae Wine Co. is a new winery from David O’Reilly of Owen Roe. The winery gets its name from a family of birds that includes crows. The Corvidae label focuses on value. The back label of the Corvidae Crowe White Wine, sampled here, reads “To the crowe (sic), her own chick is white” - Old Irish Proverb. This wine is an interesting blend that doesn’t entirely come together but shows more than enough to fascinate on the nose and taste. No website unfortunately, just wine here. Eliseo Silva came to Washington at age fourteen, the youngest of twenty children. Now an adult, he is vineyard manager for Tagaris Winery’s vineyards. Frank Roth serves as winemaker. Roth previously worked as cellar master at Barnard Griffin winery. 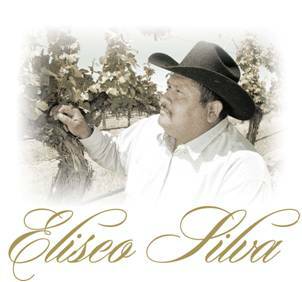 He also makes the wine at Tagaris, Eliseo Silva’s parent winery. This wine is interesting but a bit too herbal. Demerits for the website listing the 2005 Merlot rather than the 2007 Merlot sampled below. Let me know if you have a favorite under fifteener and I'll give it a try. A dark, rich color. Nose shows a lot of cedar, spice, dust, and powdered chocolate with layers of black cherry beneath. Taste is round with a smooth entry that builds up to a crescendo on the mid-palate. Fairly dry with a healthy dose of tannins. Overall, the nose is engaging and the taste is beautifully balanced with acid, tannins, and fruit. The finish is the only thing that leaves me a bit wanting. 14.5% alcohol. 30,000 cases produced. Purchased at Pete’s Bellevue for $12. Wowzer there are a whole lot of Syrah aromas on this very enticing nose, including blueberries, violets, smoke, and traces of game. Over time the Grenache comes out with strawberry, pepper, and other red fruit. Chocolate also comes in and out. The palate has a lot of fruit with the Grenache and Mourvedre leading the way. Not a whole lot of oak to get in the way, and the alcohol is pleasantly restrained. A nice dose of acidity caps it off. This wine is straight down the fairway. An exceptional value wine. Syrah, Cabernet Franc, Sangiovese, Grenache, Mouvedre. 13.5% alcohol. 50,000 cases produced. Recommended. Purchased at Esquin for $8. An attention-getting nose with chocolate, smoked meat, and a very intense fruit aroma. Up front on the palate and then has a smooth descent down. The nose is a knock-out. The taste is a bit thin at times but with a lot of light chocolate notes. Overall, a superb nose with a taste that doesn’t live up to it but still provides a lot of value. Recommended. Purchased at Esquin for $15. A lively, appealing nose with toffee (initially), white grapefruit, pineapple, and lime. As it opens up, the Muscat comes forward with Mandarin oranges drizzled with honey. Crisp and tart on the taste with a lot of apple and lime flavors. Hangs around for a pleasant finish. Sauvignon Blanc, Muscat, Riesling, and Pinot Gris. 13% alcohol. Recommended. Purchased at Esquin for $9. 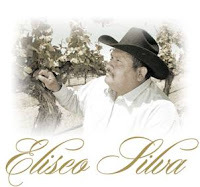 Eliseo Silva Merlot Columbia Valley 2007 $10 Rating: . Brick-colored with some browning on the edges. Initially the nose seems to show a lot of oak and alcohol (I say seems because for a $10 wine I can’t believe it has seen too much and the alcohol level is low). This gives way to cherries, vanilla, licorice, a touch of cardamom, and a lot of herbal notes. The taste is loaded with fruit but lacks lift in the mid-palate. Also shows a lot of herbal flavors. 13.5% alcohol. Purchased at Esquin for $10. The Vineyard 10 for my wife and myself, (and several friends), has become the DD-daily drinker. We pick it up at Fred Meyer for $5.99. Last year the blend was some Zinfandel. Still was good. This one may be right at the upper edge, but I can buy it a some stores for $13-14, and that is Airfield Estates Bombshell Red. it is a blend of Syrah, Merlot, Cab, Sangio, Malbec, and Cab Franc. I compare it favorably with the Columbia Crest and would do well in a blind with much more pricier bottles. cityroute16, glad to hear you have been enjoying the Vineyard 10. What a great wine for the price! And you're getting it for $6?!? Wowzer! I will seek out the Bombshell Red. Thanks for the suggestion. The Columbia Crest Cab Sav 3H was a very pleasant surprise. Great wine. Great value. Glad to hear that you enjoyed it and thanks for the comment. Hey Sean, don't know how I missed this but we picked up some 2005 Eliseo Silva Syrah for $6/bottle a while back! A very decent daily drinker Syrah. We got it in the Tagaris Richland tasting room on clearance and got the last 7 bottles they had of this vintage. I'd definitely try more ES wines, but the vintage in important so I'd try to taste before buying. The '03 and '07 ES Syrah's we tasted were way off from the '05. Chris, thanks for the heads up. Will seek some more of the ES wines out.